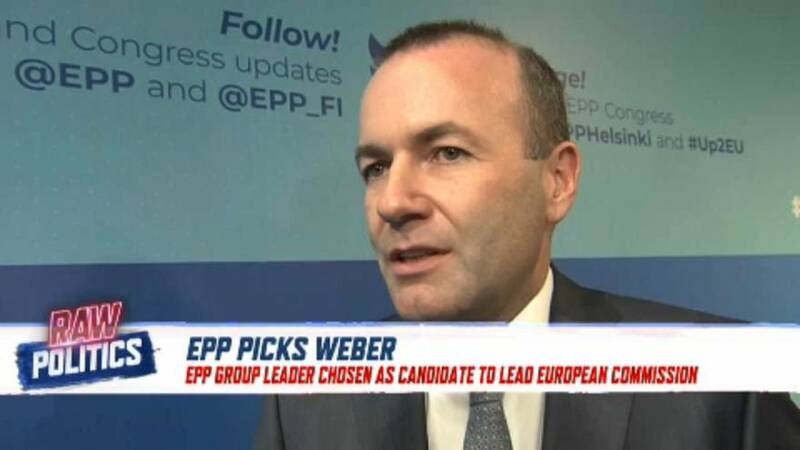 The European People’s Party on Thursday chose Manfred Weber as its nominee for European Commission president over former Finnish Prime Minister Alexander Stubb. Weber, the German leader of the EPP grouping in the European Parliament, will be the centre-right party’s Spitzenkandidat or “lead candidate” in the European Parliament election to be held in May. Raw Politics' correspondent Darren McCaffrey interviewed Weber in today's Raw Politics. Take a look at the video above to see Raw Politics' panel of guests: Politico’s Lili Bayer, Euronews Hungarian correspondent Sandor Zsiros, and Swedish MEP Jasenko Selimovic discussing Weber and his motives.